For a long time, the struggle for supremacy in the air has been fought for in the field of radio electronics. This contest may be an invisible battle of electromagnetic rays over a distance of hundreds of kilometers, but it still operates according to the old rule of fighting favors the element of surprise. Stealth technology is reviving this basic principle of warfare. To understand how this technology works it is necessary to decipher the principles of radars. As is known, radar is a means to ascertain the approximate location of an object in a given space. The operating principle of radar is based on the fact that radio signals reflect off of metal surfaces, such as the body of an aircraft. As an aircraft fuselage is aerodynamically shaped with a generally round form, a radio signal reflected off it will go in all directions, including back toward the radar. Once the radar receives the signal, it determines the distance of the plane based on the time it took for the signal to return to the source. Combining this information with the direction from which the signal is received, the radar determines the location of the object. Additionally, modern radars such as Irbis or Zhuk, developed by KRET, can identify targets by type, whether a helicopter, cruise missile, or fighter jet. Thus, the more a plane reflects radio waves, the better it can be detected over a long distance. Engineers are striving to reduce this reflective capacity, also called a radar signature. Stealth technology, the principle of reducing radar visibility, strives to use a plane’s body structure to direct signals away from the radar receiver. Currently there are two main ways to achieve this goal, either making the fuselage with an angular shape of straight faces and sharp angles, or covering the body of the plane with special material that absorbs radio signals. In addition, the thermal signature of an aircraft is often reduced by placing the nozzle motor on the upper surface of the aircraft, or by installing cooling systems around heated areas. All of this facilitates maximum invisibility from enemy radar. The history of stealth technology began in 1966, when radar specialists at Lockheed came across an article written by physicist Peter Ufimtsev in a popular Soviet scientific and technical journal. The article said that a certain type of aircraft made of particular materials and with a specific angular shape and paint could be almost invisible to radar. This article piqued the interest of American military experts, who decided to build and test such an aircraft. In the mid-1970s, the American Air Force introduced the SR-71 spy plane, characterized by an unusual shape and a special paint job based on the ideas from Ufimtsev. The SR-71 was the first aircraft created with radar stealth capabilities. Despite its shape, and a special coating of cesium that was added to the fuel to reduce exhaust temperature, the SR-71 could easily be detected due to its stream of heated exhaust gas and the aircraft’s significant body heat at high speeds. American specialists moved on and began to develop new types of stealth aircraft, still based on the ideas of the Russian physicist. The project was called stealth. In the early 1990s, the United States introduced two unusual kinds of stealth aircraft: the F-117 fighter-bomber and the B-2 strategic bomber. Incidentally, Peter Ufimtsev participated in the creation of the latter aircraft. When the Soviet Union gave up work on stealth technology in the 1980s based on his ideas, the resentful designer immigrated to the United States. One might wonder why, if it had long known about stealth technology, why the Soviet Union did not surpass the Americans with its own stealth systems? The Soviet Union was known for spending enormous resources to develop the most modern defense apparatus, and this was no exception. As recalled by Victor Chepkin, general designer for Lyulka-Saturn, stealth technology was well known to Soviet designers. “Together with various institutions we carefully analyzed stealth technology and the general principles of invisibility in combat and other contexts. We came to the conclusion, that the hyper-development of stealth – using stealth for stealth’s sake – greatly narrowed the range of an aircraft’s combat potential. Purely stealth aircraft could be used only in a specific set of combat operations and for a particular purpose, and this technology is very expensive,” he explained. Stealth aircraft of different types were built and tested in at least two Soviet design bureaus. An authoritative commission decided against the use of the stealth technology. First, the stealth aircraft built according to Ufimtsev’s ideas was poorly suited for combat maneuvering, as its shape resulted in low speed and maneuverability. Second, the plane could still be identified visually and with special high-frequency radar. Furthermore, when opening the bombing bay, and in some particular flight conditions, the plane could even be seen on conventional radar, allowing it to be easily targeted. Serbian air defense experts discovered this in 1999 when a Yugoslavian MiG-20 shot down an American F-117A over Belgrade. Today, defense experts say that even the F-35 stealth aircraft is visible to Chinese and Russian radars. Third, stealth aircraft are very expensive. As a reference, the B-2 bomber is the most expensive aircraft in aviation history, costing $1.157 billion. Still, not a single side is giving up on stealth technology. A number of stealth technologies were incorporated into the design of the last Soviet fighter jets, the MiG-29 and MiG-27. New Russian aircraft, including the Su-34 fighter-bomber, the MiG-35 light frontline fighter, and the Su-35S heavy fighter utilize technology that reduces their visibility. 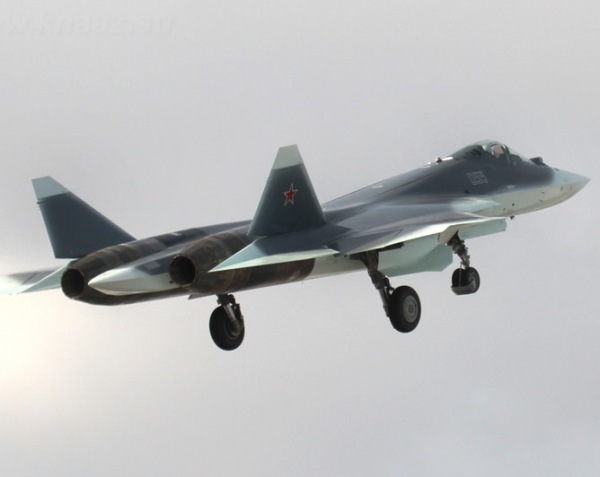 The future fifth-generation Russian aircraft, such as the PAK FA heavy multipurpose fighter jet and the PAK DA long-range strategic bomber, are being designed as stealth aircraft. Incidentally, the PAK FA, which is currently undergoing state testing, will be equipped with active phased array radar developed by KRET. The angled plane of the antenna significantly reduces the aircrafts’ electron paramagnetic resonance, making it less visible to radar. In spite of practically identical design requirements for both fifth-generation Russian and American fighters, there is a basic difference, as the Americans favor stealth over agility. According to Russian specialists, maneuverability is becoming increasingly important in military aviation, not only because of the development of radar, including new high-frequency radar, but the gradual decrease of the American monopoly on fifth-generation fighter technology. But only when the two stealth fighters meet will combat tactics return to the past.